DIRECTIONS 10 oz. 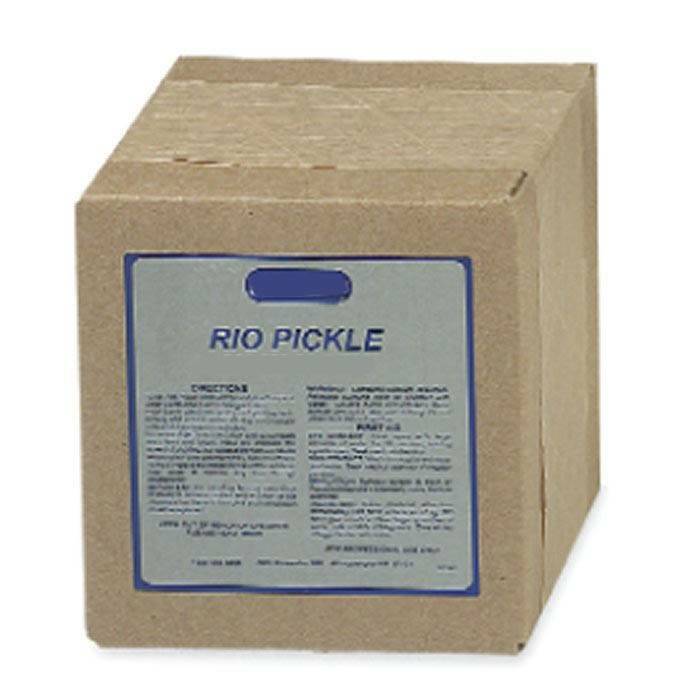 Pickle acid Compound plus 3 Cups of water yields one quart pickling solution. Pour warm water into acid proof pickling tank. Slowly add acid to water stirring continuously until acid dissolves Into solution. To pickle or clean metal, immerse object into acid solution until all surfaces are clean and bright. Heating the pickling bath will increase the speed of pickling, but excessive temperature will cause evaporation of the water. Sediment is due to evaporation and in no way impairs the effectiveness of the solution. Add water to replace any loss through evaporation. 501-023/.7 lbs. Warning! Contains Sodium Bisulfate. Releases Sulfuric Acid on contact with water. Causes burns and irritation. Avoid contact with eyes, skin, clothing. Do not inhale dust. Do not swallow. Use respirator and rubber gloves and chemical safety glasses is recommended. EYE CONTACT: Flush eyes With large amounts of water for 15 minutes, holding eyelids open. INHALATION: Remove person to fresh air Restore breathing if necessary. Seek medical attention. INGESTION: Seek medical attention immediately DO NOT induce vomiting. DO NOT give emetics. Give large quantities of water, milk or Milk of Magnesia. Give whites of eggs beaten with water. SPILL OR LEAK PROCEDURES· Sweep up and flush area with water.